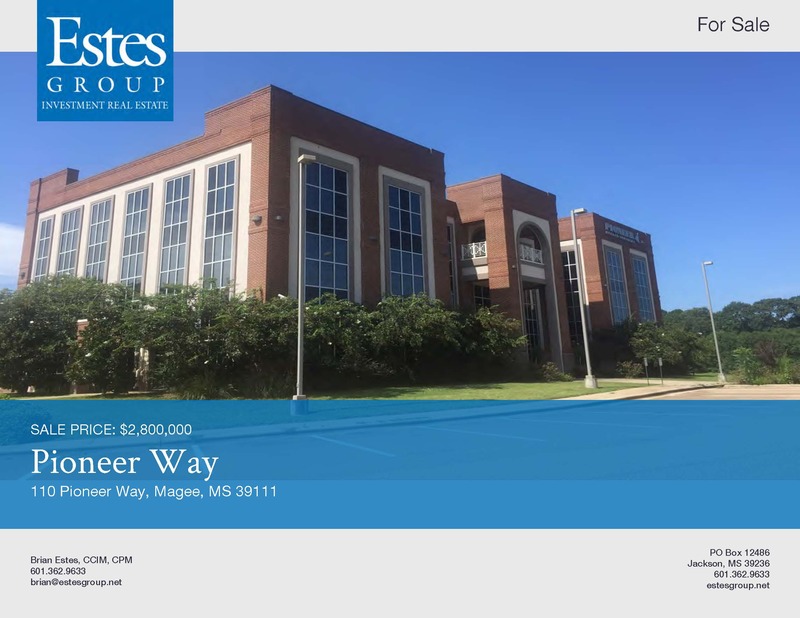 The 110 Pioneer Way Building is a three-story building located in the Simpson County Business Park in the heart of Magee MS just off Highway 49 south between Jackson and Hattiesburg. The office contains 29,178 SF on 9.92 acres providing plenty of additional space for any expansion needs. Constructed in 2010, the building has amenties that rival anything else in the state including a work-out facility and a kitchen/dining area. This would be the perfect location for a company looking to expand, move to the market, or relocate their corporate office.